Wirtland does not use commercial advertising campaigns to actively recruit new citizens, but its citizenship is free and open to everyone over 18 years of age. 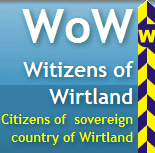 When you sign up at Witizens of Wirtland Network, you are offered two options: sign up as a "tourist", or apply for citizenship. Those who wish to apply soon receive one-page application form, which should be filled in and returned electronically. That's about it. You receive your personalized Residence Permit. It is an electronic document. It bears the name of the owner and is suitable printing and framing. Alternatively, the document's central yellow-coloured part, also known as the yellow card, may be cut out. It fits any standard passport's page. possibility to contribute to this newspaper. Issuance of a residence permit and processing of the application are completely free of charge. If you wish to receive a printed passport or a plastic identification card, they can be issued after 3-5 months from the date of issuance of your residence permit. 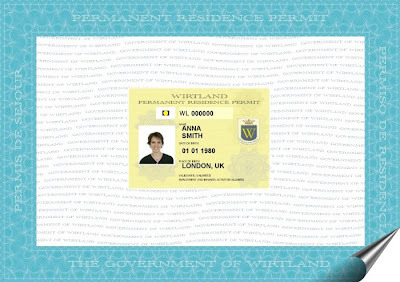 Owner of a Wirtland passport or ID card can use them as a legitimate identification document in most cases. 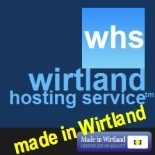 "The Times of Wirtland" and "Wirtland Institute Articles" are official publications of Wirtland (www.wirtland.com). Wirtland is also known as: Hayalistan, Виртландия, Wirtlandia, Virtlandia, Virtlando. Comments and opinions are welcome. Email address for submissions: submissions (at) wirtland.com.